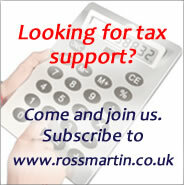 An employer may make a tax-free loan to an employee for a sum of up to £10,000 per year. The limit was £5,000 per year for years up to 2013/14. Where an interest-free loan is made in excess of the tax-exempt amount a taxable benefit will arise. The benefit is calculated by taking the outstanding loan balance multiplied by the official rate of interest. The beneficial loan interest can be calculated in different ways; an average method may be used, see HMRC employment income manual. Employers need to take some care if there are different loans or loans replacing loans, or if there are loan write offs these are generally taxable as earnings and so PAYE reporting becomes an issue. An additional set of rules may lead to a s455 CTA 2010 tax charge when loans made to directors or other participators (persons with a financial interest in the company) are outstanding more than nine months after the end of the company's accounting period, see Directors' Loan Account Toolkit.